Sabraya is a busy teenager with a wonderful imagination. She has many friends and people that she feels are close to her. 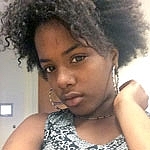 Sabraya is very social, outgoing, and has a bubbly, energetic personality. She loves to listen to music, sing and dance. She aspires to work in the medical field one day. She is very tough, but also very feminine. Sabraya would benefit from a positive, strong female role model that can teach her to conduct herself as a lady. She would benefit from a structured household with clear boundaries, guidelines, and expectations, but that would also give her the freedom to make her own decisions. Sabraya needs guidance, unconditional love, and nurturing. She needs someone to help her learn to form positive, supportive relationships. Are you the family for Sabraya?